The American Councils’ Insider Tours provide travelers with an in-depth look at areas of the world that are less-often picked by the average tourist, but no less worthy of exploration. 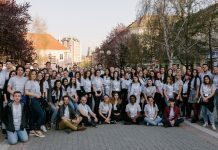 The Insider Tours are open to former or current volunteer evaluators of FLEX applications, who understandably have a special connection to the FLEX program and its alumni. 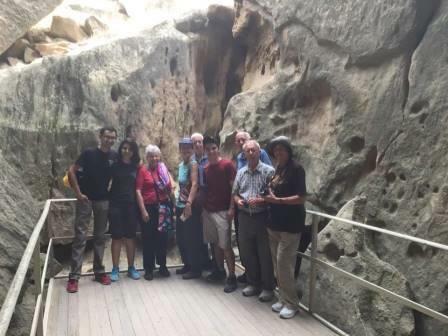 This fall, American Councils took the travelers on a 10-day trip through the South Caucuses, namely Azerbaijan and Armenia, from September 5 -16. 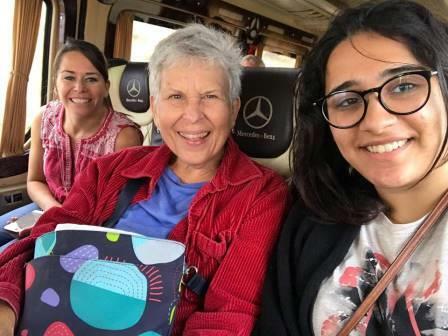 With a keen interest in cultural exchange, FLEX alumni jumped at the chance to take part in the Insider Tour and share their homes, cultures, and international experiences with the travelers. The tour started in Azerbaijan on September 6 with a walking tour of the Old City Baku, a tour of the carpet museum, lunch, and additional sightseeing activities. Azerbaijani FLEX alumni accompanied the group throughout the entire day, even assisting the travelers in learning the national Azerbaijani dance at the Shirvanshakh Museum Restaurant. 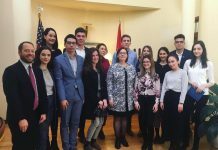 The following day, the Insider Tour group met with representatives from the U.S. Embassy in Baku, who also happened to be senior FLEX alumni. The alumni were able to share their experiences with the travelers and describe the tremendous impact FLEX has had on their lives. 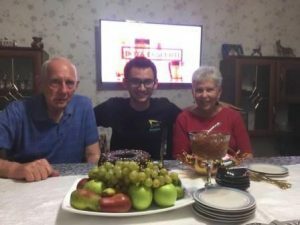 That night, several alumni hosted the travelers in their homes where they enjoyed traditional Azerbaijani dishes. The fourth day spent in Azerbaijan provided the travelers with a special cultural experience: a traditional wedding in Mingechevir. Alumna Samaya Guliyeva ‘11 (San Antonio, TX) accompanied the guests during this unique experience of different Azeri customs and traditions. 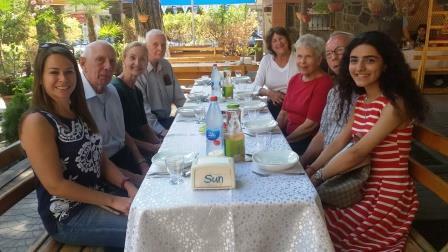 The latter half of the 10-day excursion provided ample opportunity for Armenian FLEX alumni to switch roles and act as hosts. On September 12, Insider Tour participants took a walking tour of the city of Dilijan with local FLEX alumnae Anush Petrosyan ’14 (Woodstock, VA) and Inna Sahakian ’16 (New Braunfels, TX), who recounted their FLEX experience and how it shaped their lives upon returning to Dilijan. When travelers set off for Gavar they had the unique opportunity to meet FLEX-hopefuls during the first round of testing. That same day, the Insider participants toured a dried fruit and wine factory in Vayk, Armenia. The CEO and owner of the factory, FLEX alumnus David Zakaryan ’07 (Bedford, IN), met with the travelers during their tour. As the tour wrapped up, travelers returned back to Yerevan where they shared a meal with some recently returned and some senior alumni, who shared their exchange experience with the travelers and gained insight on the evaluation process in return. The alumni were admittedly astonished to hear that all of the evaluators had long since retired from their professional careers but still devoted a significant amount of time contributing to international exchange programs. For more information about upcoming American Councils Insider Tours, please contact Elena Romanova or take a look at the American Councils Insider Tours Facebook page.